At Lake Norman Signature Pools & Patios, we can design the perfect outdoor kitchen for your space in Mooresville, NC. Outdoor Kitchens in Mooresville – During the warm summer months in the Mooresville & Lake Norman, North Carolina area, you may not want to heat up your home by turning on the stove or oven. However, your family will still need to eat . . . You could go to a restaurant every day, but we have a better solution: outdoor kitchens! You can choose from a wide range of options for your outdoor kitchen. Some people choose to add a wood burning stove, a perfect place to cook fresh pizza or other baked goods. You can also tap into the water and draining system in your home, making it easy to prepare food and wash dishes outside, as well. If you plan on having gas-powered appliances in your outdoor kitchen, you will need to connect the gas line. As you choose the design for your outdoor kitchen, consider the functionality. Will you have guests over for delicious meals? If so, you will need more space in your yard to add seating and tables for additional people. If your indoor kitchen features color schemes and styles that you love, you can also translate this to your outdoor kitchen. In areas where there are certain building materials produced locally, you can choose these for a more unique flair. 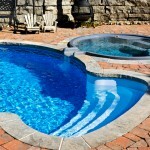 We can make your dream pool come to life! The most appealing outdoor kitchens are those that look like an extension of the indoor design and décor. This makes it feel like the outdoor kitchen is truly part of the home’s design scheme, and not just a patio with a grill and a countertop. At Lake Norman Signature Pools & Patios, we can design the perfect outdoor kitchen for your space—contact us today for more information! At Lake Norman Signature Pools & Patios, we proudly build outdoor kitchens in Mooresville, Cornelius, Davidson, Denver, Huntersville, and Lake Norman, North Carolina.